As it hath beene sundry times publickly acted by the right Honorable the Lord Chamberlaine his seruants. 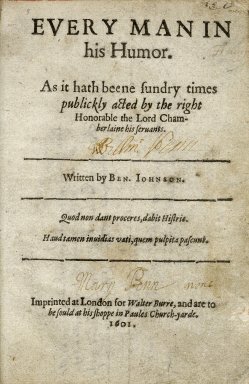 Imprinted at London for Walter Burre, and are to be sould at his shoppe in Paules Church-yarde. 1601. Title page imaged from Folger call number: STC 14766 copy 1. Image is not from the transcribed copy.